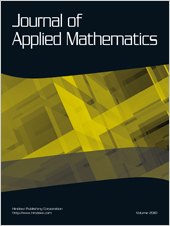 All papers accepted for presentation will be published in Electronic Notes in Discrete Mathematics whose style can be downloaded here. Participants are allowed to send just abstract of their presentation. If accepted, they will be published in the Book of abstracts. The first paper on VNS was published in COR 15 years ago. It has been cited more than 500 and 1200 times, according to Web of Knowledge and Google Scholar, respectively. That is why COR accepted this special issue. All papers will be refereed according to the journal standards.